The current plan for the sequels to The Eons-Lost Orphan sees Jane and her companions travel further and further into space. Orphan 2, tentatively titled The Orphan in Near-Space, sees her make what astrophysicists call “cis-lunar space” home. This is the spherical volume out to a bit beyond the Moon. I just passed 72,000 words in this book on my way to 100,000 words. In Orphan 3 she travels to and through the asteroid belt and visits Mars, Venus, and Mercury. In Orphan 4 she visits Jupiter and Saturn. And there is where she first ventures into interstellar space by passing through one of the subspace portals which cluster near Saturn. What is it like beyond our star system? 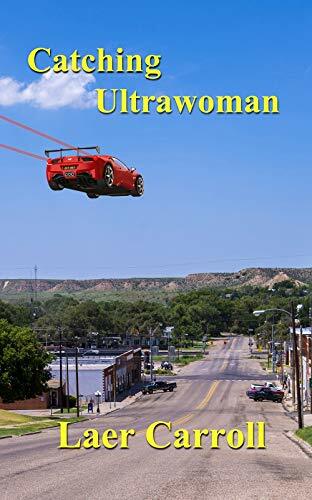 You can get some idea by reading the just-released novelette “Catching Ultrawoman.” You will also meet one of the secondary but important characters: billionaire Anna Prince. She shows up in my Super Olympian duology, especially in book two: The Super Olympian: Mystic Warrior. Also in The Once-Dead Girl. Click the image to read a preview. This entry was posted in Notable and tagged Sci fi, science fiction, scifi, shapechanger, Shapechanger Tales, The Eons-Lost Orphan, The Once-Dead Girl, The Super Olympian: Mystic Warrior. Bookmark the permalink.